Trinamul, which is trying to gain a hold in the hill tea gardens, and the Gorkha Janmukti Morcha have got into a slugfest over three estates formerly owned by K.D. Singh, a ruling party MP in the Rajya Sabha. 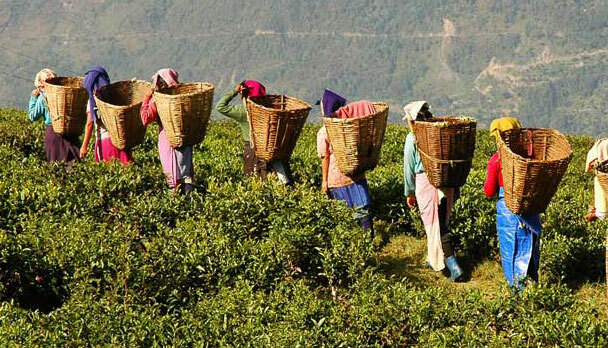 J.B. Tamang, the president of the Trinamul-affiliated Darjeeling Zilla Tea Workers' and Employees' Union, has demanded that details of a change in ownership of the Dooteriah, Kaley Valley and Peshok tea gardens be made public and alleged that circumstances leading to the ownership change had raised doubts about the Morcha's probity. The Morcha is the predominant union in the 87 gardens of the hills. The three gardens were owned by Singh's Alchemist Group till August. The Morcha, on the other hand, said the party was starting to wonder if the gardens had actually changed hands and the talk of the estates' sale "could be a move to protect Trinamul". When Suman Moktan, the general manager of Dooteriah and Kaley Valley Tea Estates Pvt Limited, was asked two days ago about the ownership of the gardens, he said they "are now owned by Mumbai based Trident Agrocom Export Pvt Ltd and the process of handover is under process". A.K. Agarawol, CEO, Trident Agrocoms Exports Pvt Ltd, speaking over the phone, said: "Please do not politicise the issue. Everything is clear and the details of the company are there in the public domain. One has to just go to the ROC website to know the details." The 2,000-odd workers in the three gardens are yet to get dues of around Rs 2.5 crore accrued over a year. Trinamul has raised questions on an unsigned document that hints at a transaction of Rs 37 lakh. Tamang said: "On July 6, Morcha general secretary Roshan Giri received a proposal via email from Trident Group stating it was willing to take over the three gardens. The Trident Group placed conditions like retrenchment of 30 per cent of the workforce, payment of bonus in six installments and clearing workers' arrears in 18-24 instalments." He said the Morcha held a meeting with the management of Trident on July 12, 2016, in a private hotel and the Trinamul union was in possession of the photocopy of an unsigned paper where there was a mention of a down payment of Rs 37 lakh. In the unsigned paper, it has been stated: "Thirty Seven Lakh down payment tomorrow, i.e. 13th July 2016." 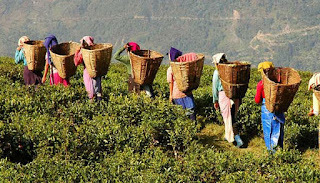 It was also written in the document that the remaining dues would be cleared by April-May 2017 and bonus would be settled under the agreement of the Darjeeling Tea Association. and leaked it to TMC leaders. "We have the original handwritten and unsigned document. However, Trinamul has photocopied this document and my visiting card has been attached to it to defame me. I will drag them to court," Subba said. Tamang, however, said that even if the money was part of workers' dues, it should be properly negotiated in a document with proper letterhead and not scribbled on a piece of paper. "Moreover, it is clear that after the management's proposal, a new company took over the gardens. We want to know what were the proposals that the Morcha agreed on." Pradhan raised questions on the ownership of the three hill plantations.